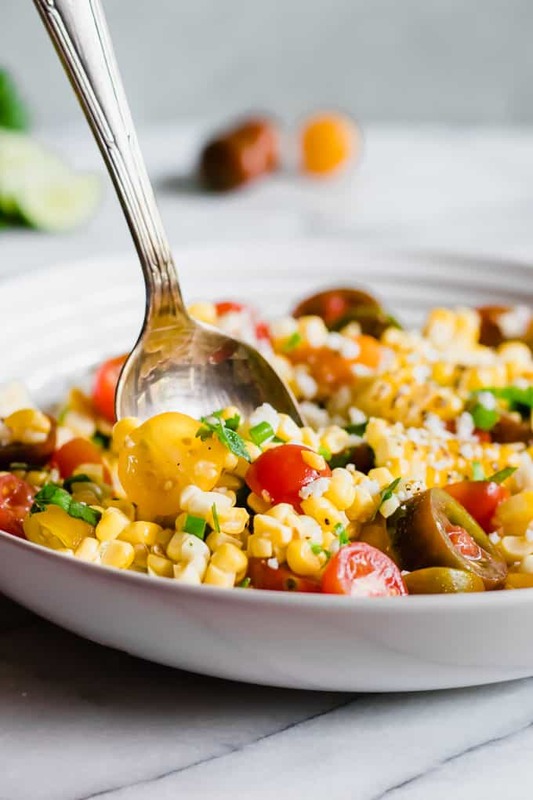 Roasted Corn Salad. This easy to make salad is bursting with fresh, bright flavors. 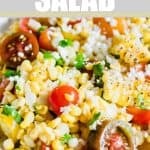 This chilled salad is perfect for serving as a side dish during the summer with any BBQ or potluck. 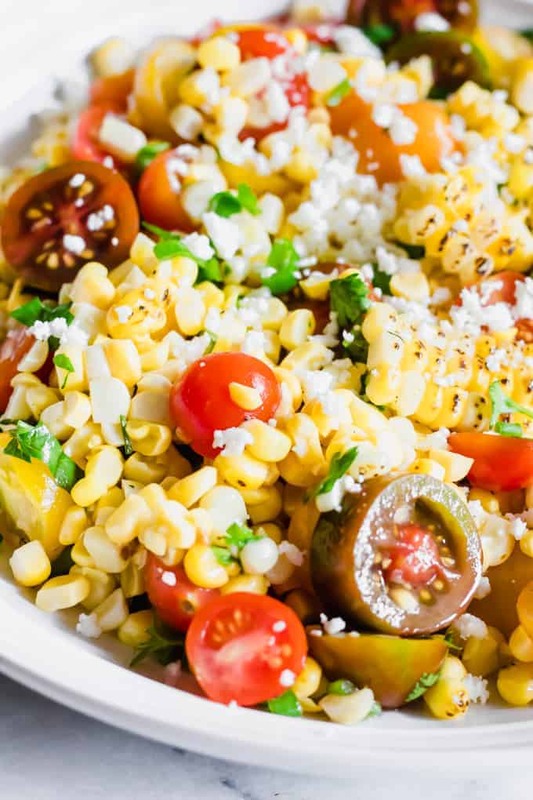 This corn salad can be made with grilled or roasted corn. Depending on which method you prefer. I like to just spread some butter or olive oil on my corn and cook it on the stovetop. But if you have the grill going and want to toss it on the grill then go for it! Once the corn is cooked, just cut the kernels off into a large bowl. Then we can add the other ingredients. For this version I went a little Southwest, Tex Mex, style. We’re using cherry tomatoes, cilantro, green onion and some queso fresco. 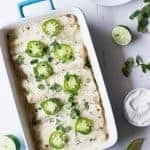 Keeping with our southwestern theme, the dressing is brightened up with real lime juice and sweetened with a hint of agave. 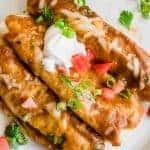 If you don’t have agave you can substitute with honey. The combination of flavors is refreshing, sweet, and savory. 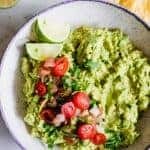 The best method for preparing this salad is to combine the ingredients for the salad in a large bowl, and then to mix the dressing separately in a jar. This way if you’re preparing the salad ahead of time you can leave the dressing off until just before serving. I also recommend to add the cheese just before serving also. 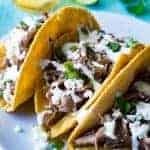 This keeps the flavors fresh and keeps the corn and tomatoes from losing too much flavor and juices. 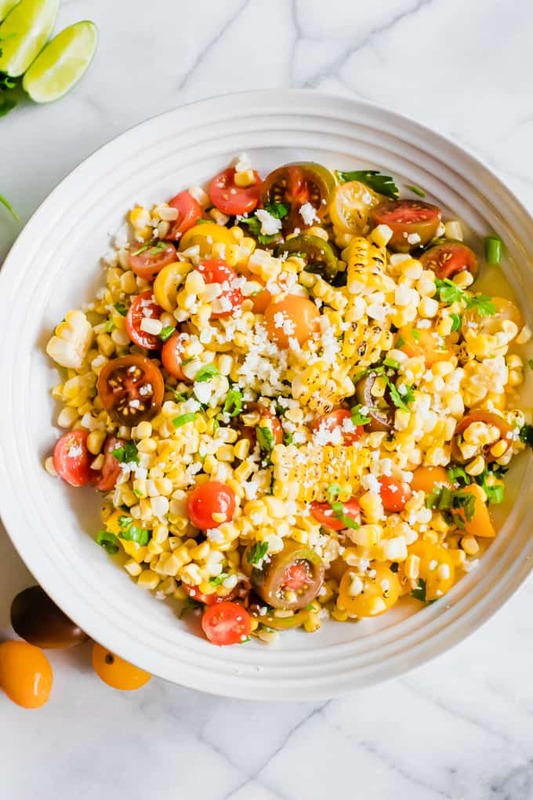 WANT TO TRY THIS ROASTED CORN SALAD? PIN IT TO YOUR SALADS OR SIDE DISHES BOARD TO SAVE FOR LATER! 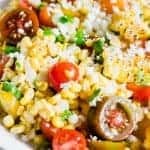 The recipe for Roasted Corn Salad first appeared on Food Fanatic.